Senator Bam Aquino called on the leadership of the Bureau of Customs (BoC) to implement absolute transparency in all its dealings to eradicate corruption in the bureau and hold Customs personnel liable for smuggling and drug trafficking. The senator made this call to BoC commissioner Isidro Lapena during the Senate Blue Ribbon Committee hearing on the P6.4 billion shabu that made its way into the country through the Port of Manila. “Hindi sana nakapasok ang tone-toneladang droga kung walang korupsyon sa Customs,” said Sen. Bam. Among the moves suggested by Sen. Bam is the use of x-rays in all the ports in the country and allowing the video feed to be broaddcast live online. By making the inspection process transparent and open to the public and available online anytime, Sen. Bam hopes to stamp out corruption. “Iyong pinakamagandang kalaban ng dilim, ilaw. Kaya ilawan natin and make the process transparent. Tingnan natin kung magkakaroon ng undervaluation kung gagawin nating transparent ang proseso,” said Sen. Bam. “The private sector, maaari rin silang magbuo ng watchdog groups upang mabawasan ang pagpasok ng smuggled items sa bansa,” the lawmaker added. By allowing different groups to witness the inspection process, Sen. Bam said the space for corruption will be reduced and the revenue would go directly to the government and not to the pockets of unscrupulous individuals preying on brokers and other stakeholders. Sen. Bam lamented that the current reforms undertaken by Lapena, such as moving two collectors to different positions, are not enough, saying the system should undergo a major change to totally erase corruption in the bureau. “Hindi na sapat ang paglilipat ng tao. If it means changing systems, which I think is the only solution to the problem, gawin natin,” said Sen. Bam, assuring Lapena that the Senate will support his initiatives to reform the bureau. Sen. Bam also urged Lapena to hold liable Customs personnel behind the smuggling and trafficking of illegal drugs. “Hindi papasok ang droga kung walang corruption sa BoC,” Sen. Bam stressed. Sen. Bam Aquino welcomed the Games and Amusements Board’s move to recognize the Filipino e-gamers as national athletes, saying it is another big win for our talented Filipino gamers. “We’re very happy that these athletes are now legitimized and recognized by the Games and Amusement Board,” Sen. Bam said in a statement in reaction to the GAB’s move to legitimize the country’s esports athletes, who have excelled in several local and international tournaments. “We hope to continue developing the esports industry in the Philippines and supporting our professional gamers as they represent the Philippines, added Sen. Bam, a staunch supporter of eSports and video game development industry in the Philippines. 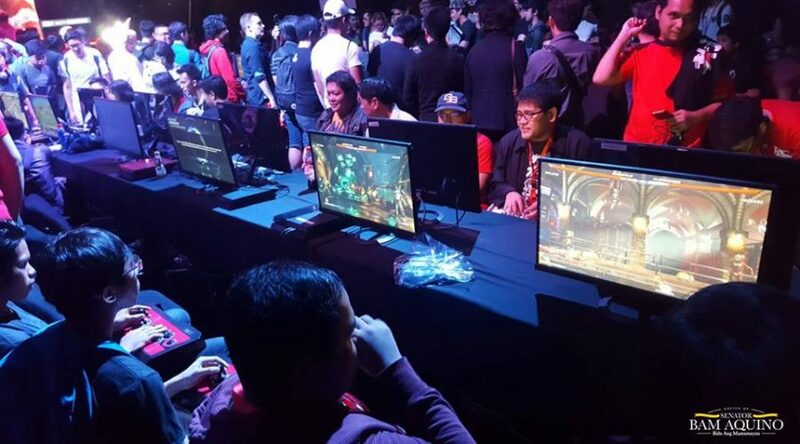 Sen. Bam said the move was timely since esports will be a demonstration sport at the 2018 Asian Games in Jakarta and Palembang, Indonesia. In 2022, esports will be an official medal event at the 2022 Hangzhou Games. With GAB’s accreditation, Sen. Bam expects the government to fully support the endeavors of Filipino e-gamers, including their participation in local and international tournaments to further hone their skills. Sen. Bam is convinced that esports and the video game development sector both have huge potentials in bringing honor to the country and creating jobs and livelihood for Filipinos. “We have tremendous talent and potential to conquer the global gaming arena, which is why we worked with the eSports community to organize PeSPA and to resolve visa issues when they compete abroad,” Sen. Bam stressed. A senator has filed a resolution to look into the death of University of Sto. 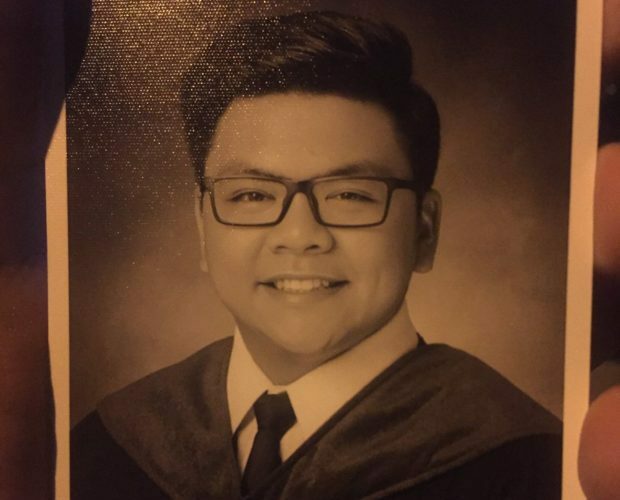 Tomas law student Horacio Tomas Castillo III allegedly due to hazing-related activities. In his Senate Resolution No. 510, Sen. Bam said the probe will focus on ways on how to give more teeth to Republic Act No. 8049 or the Anti-Hazing Law to keep it abreast with the changing times. “There is a need to improve the existing mechanisms for the deterrence of hazing-related crimes,” said Sen. Bam, adding that the community and the schools and universities are integral in ensuring that the crimes of the past will not happen again to pre-empt deaths of new members. Since the passage of RA No. 8049 in 1995, around 26 cases of hazing-related violence were reported, according to Sen. Bam. These include Mervin Sarmiento and Oliver Estrella in 1995, Alexander Icasiano in 1998, Ace Bernabe Ekid and Dominante Tunac in 2000, Rafael Albano in 2001, Marlon Villanueva in 2006, Mark Rodriguez and Chris Mendez in 2007, Elvis Sinaluan in 2009, EJ Intia in 2010 and Anthony Javier in 2015. The 22-year-old Castillo was found on a sidewalk in Balut, Tondo on September 17, 2017. He was brought to the Chinese General Hospital where he was declared dead on arrival. Horacio’s body was bloated, bruised and had candle and cigarette marks all over the body. Before he was found dead, Horacio asked for permission from his parents to attend the “welcoming ceremony” of the fraternity Aegis Juris where he is a new member. The victim’s parents gave their consent, thinking it was just a harmless social activity. Earlier, Sen. Bam condemned the death of Horacio, saying that the culture of violence in the Philippines must end. “There should be no place in our society for violence and cruelty,” said Sen. Bam, who called on authorities to investigate the matter and put those behind this heinous crime behind bars so justice may be served to the family of the victim. Sen. Bam Aquino urged the Department of Education (DepEd) to address its underspending to speed up delivery of needed learning materials to millions of primary and secondary students in the country. “The DepEd needs to be more efficient in its delivery, which can hamper the delivery of learning materials and other needs to our students,” said Sen. Bam, vice chairman of the Committee on Finance, during the hearing for the DepEd’s P613.1 billion budget for 2018. “There is money budgeted but not spent. This means the Filipino people aren’t receiving all the learning materials and education services the government can provide,” Sen. Bam emphasized. 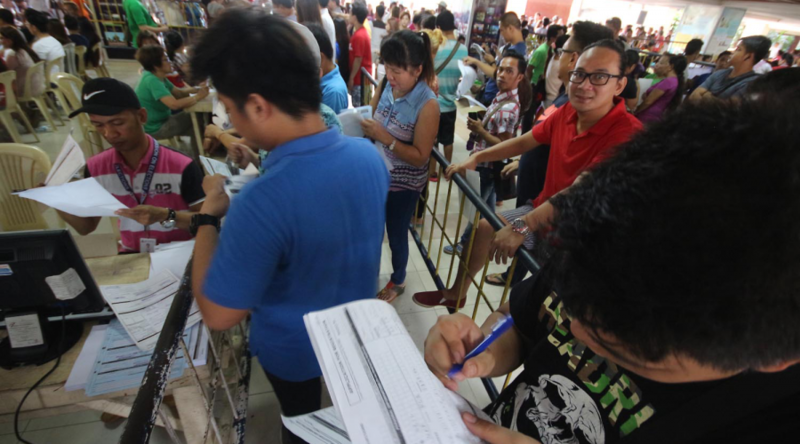 “For a student, it doesn’t matter if there is a lack of funds, or inefficiency in spending the funds, parehas lang yan sa kanya, wala pa rin ang mga libro at kagamitan,” he added. Based on briefing materials submitted by DepEd to Sen Bam, the agency has completed only 3.65 percent obligation in relation to appropriation for learning resources such as textbooks, Science and Math equipment, computerization and library for 2017. “Sayang naman ang mga kagamitan, gaya ng libro at iba pang materyales na mabibigay sana natin sa mga estudyante upang suportahan ang kanilang pag-aaral. That is almost 14 billion pesos worth of learning materials not delivered to our students and teachers,” said Sen. Bam. Also, the DepEd only released 30 percent of its P109-billion budget for classrooms, leaving the agency with P76 billion unspent for the construction of around 15,000 classrooms in 2017. Responding to Sen. Bam’s call, DepEd Sec. 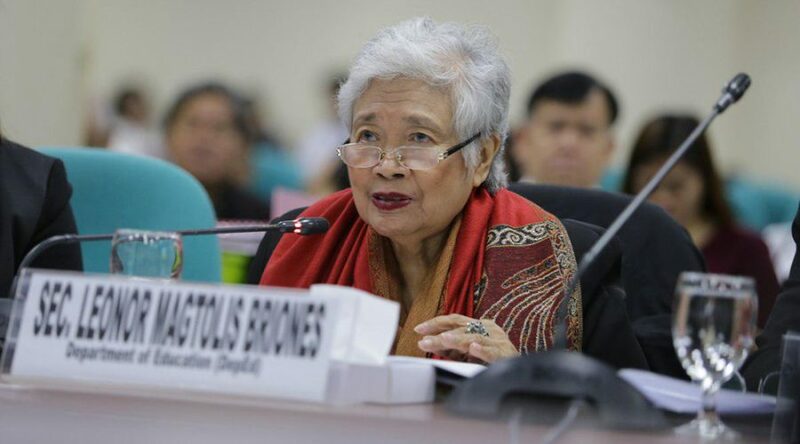 Briones vowed to catch up on their underspending and ensure their budget is maximized moving forward. “We’ve been working to raise more money for education in the Philippines so let’s use the budget more efficiently and ensure we are investing as much as we can into the education of young Filipinos,” said Sen. Bam. 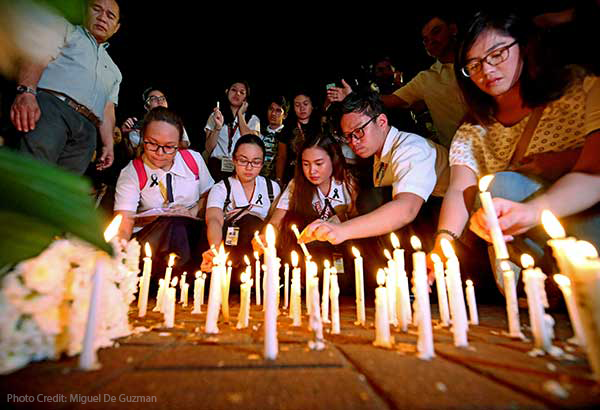 Sen. Bam Aquino condemned the death of a freshman law student due to hazing and stressed that we must put an end to the culture of violence in the Philippines. “We condemn in the strongest possible term, the unecessary death a promising 22-year-old student due to hazing. There should be no place in our society for violence and cruelty,” said Sen. Bam, referring to Horacio Tomas Topacio Castillo III, who was found dead in a sidewalk in Manila. The senator called on authorities to investigate the matter and put those behind this heinous crime behind bars so justice may be served to the family of the victim. “Hindi kalupitan ang nagpapalakas sa kapatiran. Mas marami pang paraan para mapalago natin ang samahan nang hindi idinadaan sa pananakit at pagpatay,” added Sen. Bam. Sen. Bam stressed the need for the strong and effective implementation of Republic Act 8049 or the Anti-Hazing Law to instill fear in fraternities and prevent them from crossing the line. Passed in 1995, Republic Act No. 8049 criminalizes hazing and imposing penalties on persons who inflict injuries or cause death during the process. The law imposes the appropriately stiff penalty of Reclusion Perpetua for a hazing-related death, or imprisonment ranging from four years to 17 years, depending on the extent of the injuries of a victim. “Kailangan nating ipatupad ito at ipursige ang pagresolba sa mga naunang kaso ng hazing upang makitang seryoso ang awtoridad na masugpo at mapapanagot ang mga nagkasala,” said Sen. Bam. “Huwag natin payagan lumago ang kultura ng karahasan sa Pilipinas. Imbis na pagdurusa ng kababayan, respeto at suporta ang dapat nating hangarin para sa kapwa,” added Sen. Bam. A senator wants to investigate the reported illegal searches in various establishments in Katipunan, Quezon City, and other police operations that are impeding the rights and welfare of citizens. 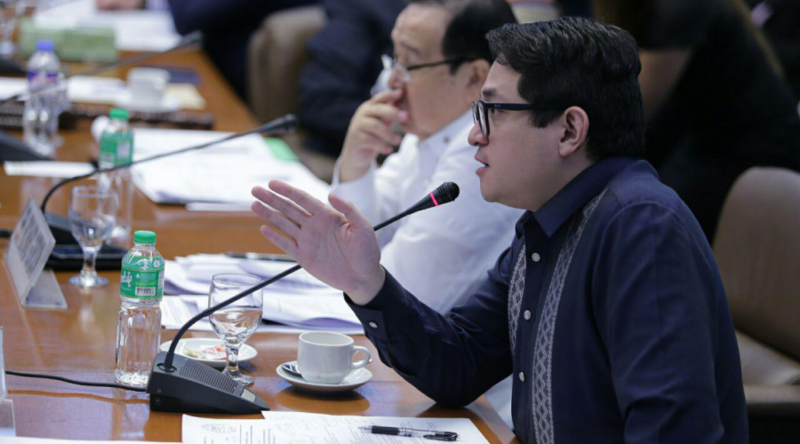 Sen. Bam Aquino filed Senate Resolution No. 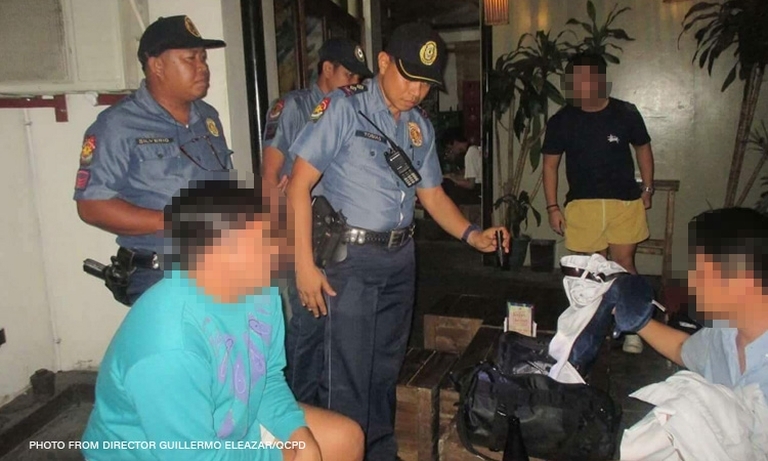 503 after reports surfaced that police officers conducted surprise inspections of bars along Katipunan Avenue, Quezon City, on September 13 and randomly inspected the bags of the customers inside the establishments without search warrants. “The unannounced inspection of establishment and bag searches by police in Katipunan last September 13 is a clear violation of Article III of the 1987 Constitution that protects citizens from warrantless and unreasonable searches of property,” said Sen. Bam. “Pagkatapos ihayag ng Ateneo Blue Babble Battalion ang kanilang paninindigan kontra sa EJKs noong half time ng UAAP basketball game, biglang nagkaroon ng mga search sa tapat ng Ateneo Campus. Pananakot at intimidasyon ba ang kanilang motibo?” asked the Senator. Contrary to claim of the Quezon City Police District (QCPD), the lawmaker stressed that owners of the inspected establishments said there was no prior coordination between them and the police. Also, the restaurant owners in Katipunan said they don’t have an association that would give the police permission to conduct the operation. Before this incident, the QCPD was also reported to be conducting house-to-house visits and roving drug testing in urban poor communities. “While police claimed that citizen participation is voluntary, they may feel forced to comply out of fear for their own protection and safety,” said Sen. Bam. Sen. Bam said the resolution aims to assess the current campaigns, strategies and practices of the Philippine National Police (PNP) as part of its campaign against illegal drugs. “We must ensure that these moves won’t lead to the weakening of the rule of law and promote a culture of impunity and abuse among law enforcers,” said Sen. Bam, adding that the rights and welfare of our citizens, especially the youth that the State, must be protected at all times. 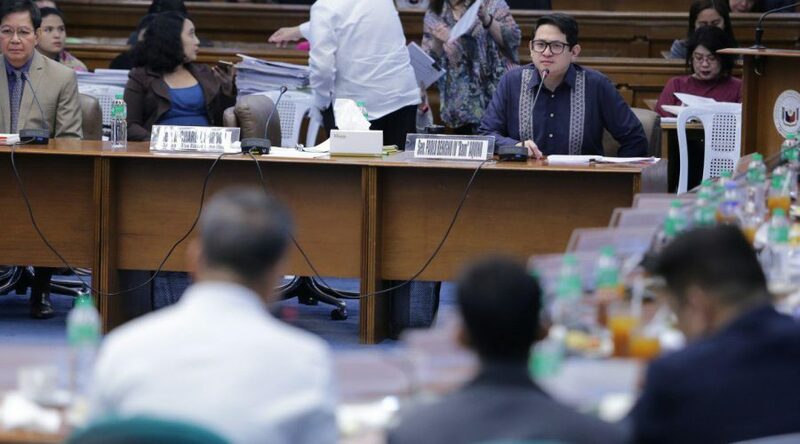 Amid the public outcry over the P1,000 budget given by the House of Representatives to the Commission on Human Rights (CHR), Sen. Bam Aquino has renewed his push for the approval of his measure that gives taxpayers a chance to decide to which agency they want their taxes to go. “We want Filipinos to get involved in governance and the budget process. The People’s Fund Bill gives them the chance to do that,” said Sen. Bam, referring to Senate Bill No. 699 that he filed last July 20, 2016. “Galing sa pinaghirapan ng taumbayan ang ginagamit na pondo ng pamahalaan kaya nararapat lang natin silang konsultahin kung paano ito gagamitin,” added Sen. Bam. Sen. Bam made the pronouncement after netizens started the “#GiveMyTaxToCHR” campaign after the House gave the CHR a 1,000-peso budget for 2018. 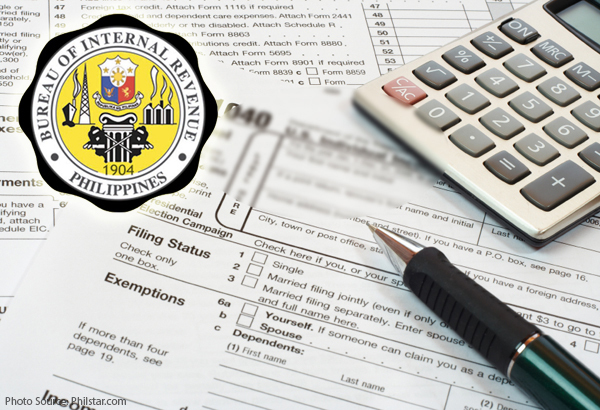 Netizens have demanded that their tax be given to the CHR instead to the PNP’s Oplan Tokhang, which was handed a P900-million budget for 2018. If approved, the People’s Fund Bill creates mechanisms for an individual taxpayer to allocate five percent (5%) of his or her income tax for any of the following: (1) an accredited charity or civil society organization; (2) a priority national or local government project; or (3) a legitimate political party. “Kapag ito’y naisabatas, may kapangyarihan na ang taxpayer na piliin kung saan pupunta ang porsyento ng perang ito. Ginagawa na ito sa ibang mga bansa at panahon nang gawin ito sa Pilipinas,” Sen. Bam said.